In today’s modern world, nobody just checks into a new place mindlessly or because they felt like it. Be it in a restaurant or a store, every customer’s mind is filled with the many Googled reviews they read online and countless word-of-mouth referrals before giving the place a chance. Choosing healthcare institutions is no different. Patients today rarely make instinctive decisions anymore, especially when their own health is at stake. 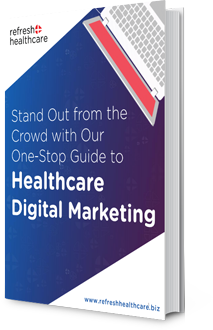 With hundreds of doctors to choose from, how can healthcare marketers be sure they will choose them over the others? It all comes down to how you manage your online reputation. At times, it isn’t only your skills that bring in more patients. Patients come to you because they heard or read something about you or because your online presence spoke on your behalf. There are manifold benefits of reputation marketing and why healthcare marketers should invest in it. Curious why? Let’s find out. Surprisingly, people would rather trust the word of a stranger they have never met and not you. Thus, not handling negative or unsatisfactory reviews in a suitable manner might hurt your practice. When you address these problems, potential patients see how much you value and care for your patients, restoring a sense of trust. If you don’t manage the way people see and rate your skills online, you are missing out on the opportunity to attract new patients. Since every business thrives on profits, not having patients will mean the end of your practice. In times of such competitiveness, any potential patient with little idea about your expertise will hunt the internet for it. If the first thing they see about you is a bad review, they won’t even make it to your website. Therefore, addressing any such issues and handling them in a professional manner will help you build a positive and more approachable image. The management of a good reputation also serves as a great marketing strategy. 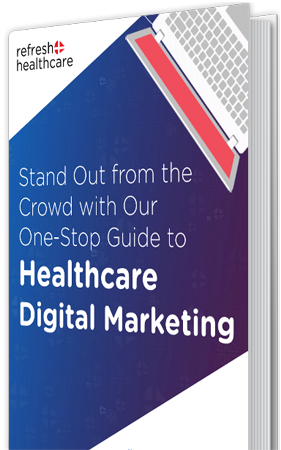 When your hospital enjoys a steady growth, is able to retain patients and receive new ones with the same zest, the loyal patients soon turn into your brand ambassadors. They start putting in good words about your services and ethics without seeking anything in return. Once the hospital has built a renowned reputation among its clientele, they can begin charging a premium for services without worrying about their competition. Not to mention, it also helps hospitals to expand on a national & international level and cater to patients from all across the globe. We at Refresh Healthcare can help you build that positive online persona. With our competent team of experts, we can handle your online repute by helping you with great content. Schedule a call today so that we can talk it out and see what exactly your website needs.